The Employment (Miscellaneous Provisions) Act 2018 completed its passage in the Oireachtas and was signed by the President on 25 December 2018. 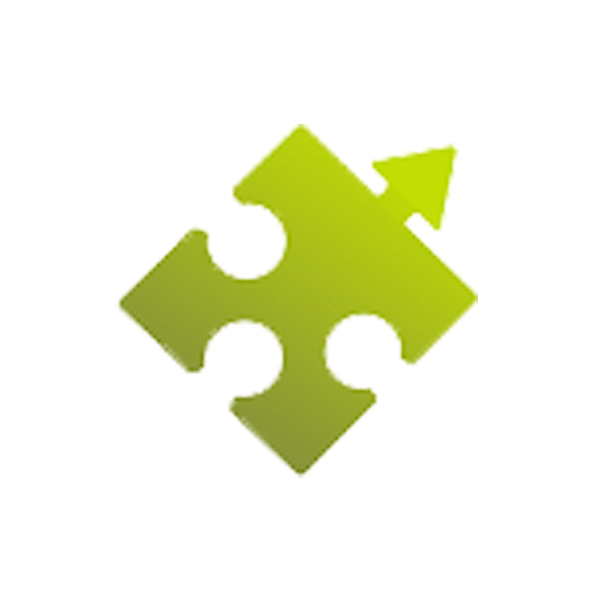 The Act came into force on 4 March 2019 and makes small but significant changes to employment rights legislation in Ireland. The following core terms of employment must be submitted to an employee in writing within 5 of employment the commencing. As per the Terms of Employment (Information) Act 1994, the ‘other terms of employment’ are still required to be submitted to the employee within a period of two months. Two new offences have been introduced. It is an offence for an employer who fails to provide an employee with the Day 5 statement within one month of the employment commencement date unless there is reasonable cause. It is an offence for an employer to deliberately provide false or misleading information as part of the Day 5 statement. Employees who do not receive the Day 5 statement containing their core terms of employment within the required time frame can bring a claim to the Workplace Relations Commission (WRC) and may be awarded up to four weeks’ remuneration. An employee must be working for the employer for one continuous month service before they can make a claim. The Employment (Miscellaneous Provisions) Act 2018 introduces new provisions protecting employees against penalisation for invoking their rights under the Act. There were previously no protections under the terms of Employment (Information) Act 1994. Giving notice of their intention to partake in any of the above. Penalisation under the new legislation includes lay-off, dismissal, demotion, reduced wages, reduced working hours, reprimand or other penalties. An employee who believes they have been penalised may pursue a case to the WRC and could receive a maximum of four weeks’ remuneration. Each time an employee is called into work but does not receive the expected hours of work they must receive a compensation payment. 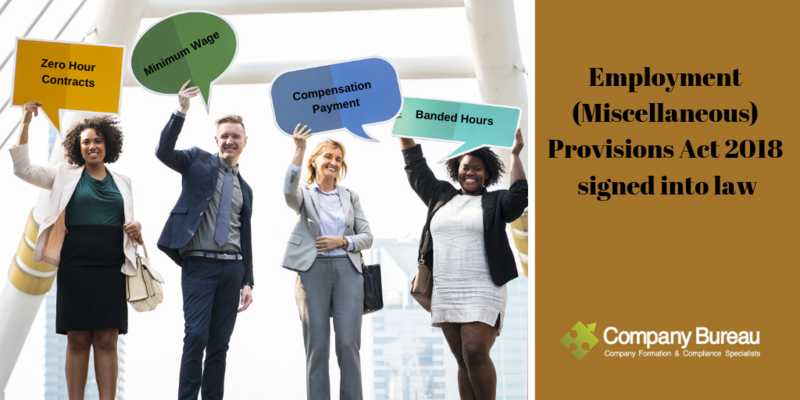 The compensation payment has been updated to a new minimum of three times the national minimum hourly rate of pay or three times the minimum hourly rate of pay. The 2018 Act brings in a new right for employees whose employment contract does not reflect the reality of the hours they normally work. These employees are entitled to request to be placed in a band of hours that better reflects the hours they have worked over a 12 month period. If the employee’s request is disputed or refused by the employer, they can refer it to the WRC for mediation or adjudication. If the Adjudication Officer finds in favour of the employee, they will be placed in the appropriate band of hours. Section 36(5) of the Workplace Relations Act 2015 has been amended so that a “relevant offence” now includes offences as listed under the Terms of Employment (Information) Act 1994 (as previously mentioned). This now allows a WRC inspector to issue a fixed payment notice, as an alternative to initiating prosecution proceedings. This can be invoked when the inspector has reasonable belief that a person has committed an offence. For example, when not providing the written statement of core terms of employment within the accepted time frame or by deliberately providing information that is misleading within the statement. Previously under the Unfair Dismissals Act 1977, the Adjudication Officers of the WRC did not have the power to require witnesses to attend a hearing to give case evidence. However, the WRC did have powers under other employment rights legislation to complete witnesses. The amendments will remedy this; any witness evidence given at an Unfair Dismissal hearing is privileged. Additionally, any witness who is required to attend the hearing or provide relevant information, but does not do so, is liable to prosecution. Rates based on age and experience are simplified to be age-based rates. From March, a person who commences employment at age 20 or over must receive the full national minimum wage of €9.80. Trainee rates are abolished, and wage rates will be age-based or receive the full rate of €9.80. In conclusion, the Employment (Miscellaneous Provisions) Act 2018 provides clarity to Ireland’s labour laws for both employees and employers. If you would like more information on starting a business in Ireland and employing staff, please contact our office on +353 (0)1 6461625 or email formations@companybureau.ie.